Glance at many of the 19th and early 20th century buildings lining city streets, and you might see a man’s name inscribed on top—like on this 1881 structure at 630 and 632 Hudson Street in the West Village. 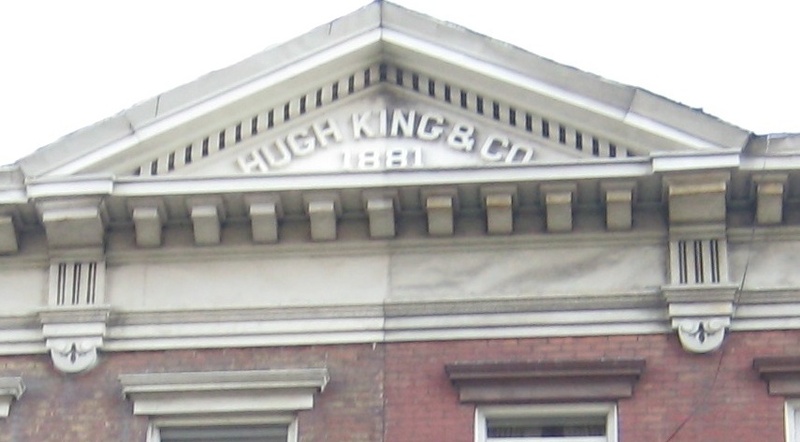 It’s named for Hugh King, a produce merchant. 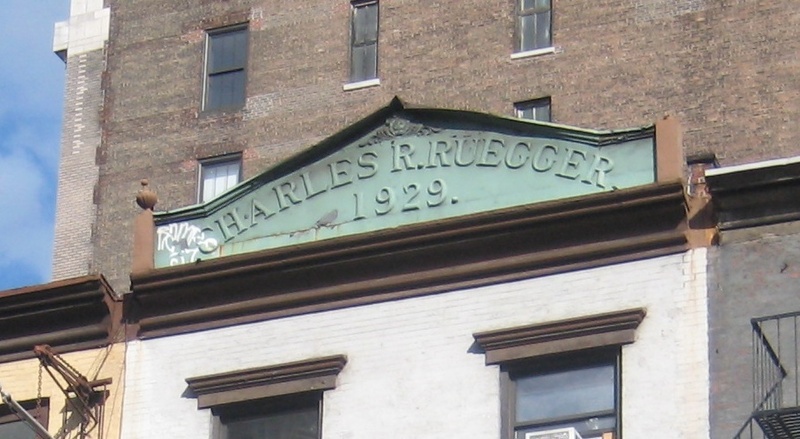 On Sixth Avenue in Chelsea is the former Bazaar Francais, a French housewares store operated by Charles R. Ruegger. Who was Geo F. Driscoll, whose name graces this building in Carroll Gardens? It’s a mystery. 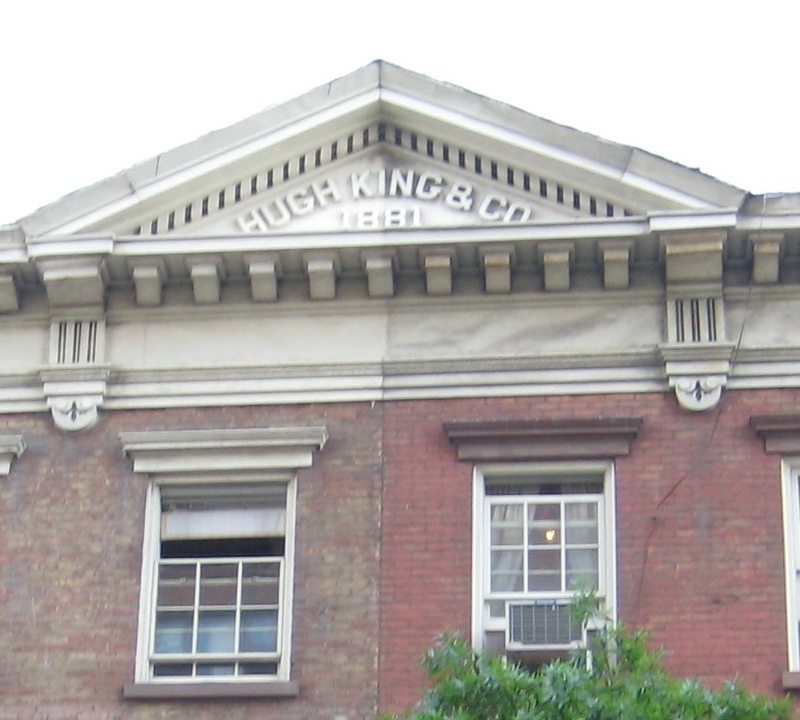 James H. Dykeman’s box factory occupied this building on Union Street in Carroll Gardens. Dykeman “was a carpenter by trade who established himself in the box business in 1877,” according to The Disston Crucible, a Magazine for Millmen. “Two large buildings occupy the whole block at Union, Nevins, and Sackett Streets, the fourth side of the property facing the canal, making it possible to bring lumber to the mill very economically,” the article states.